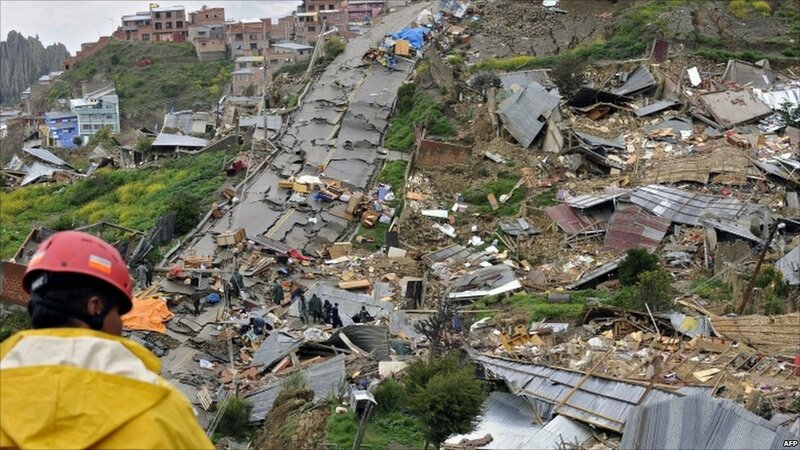 Landslides caused by heavy rains crashed down onto poor neighbourhoods in the Bolivian city of La Paz, destroying some 400 homes. 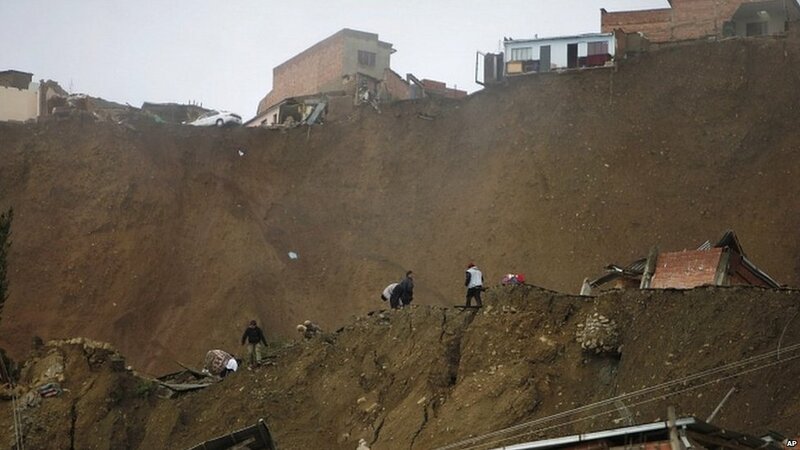 "It is a mega-mudslide, a massive disaster," a spokesman for the mayor's office said. 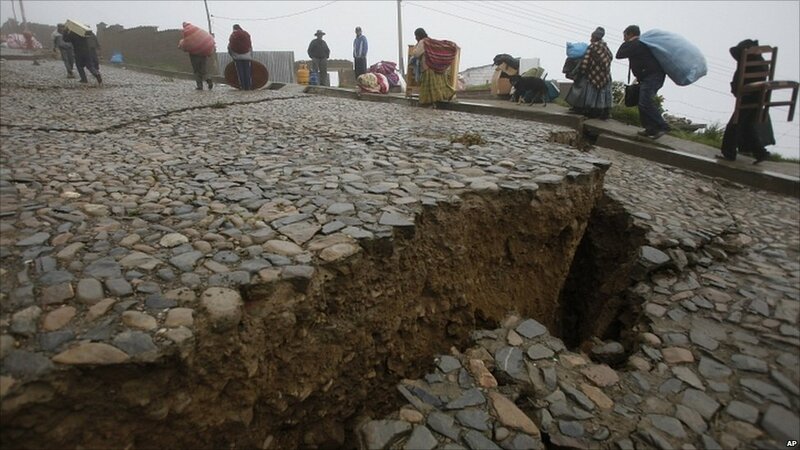 People began leaving after cracks appeared in the streets and the hillside began to move. 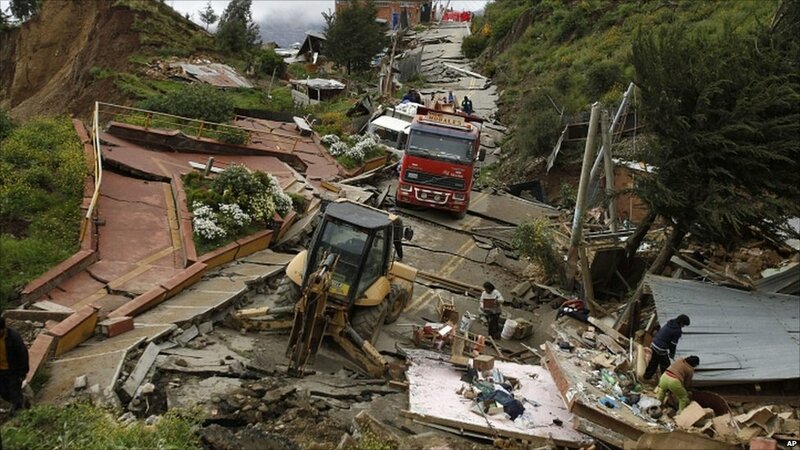 Authorities managed to evacuate the most dangerous areas and there were no reports of fatalities. Some 2,000 rescuers, including firefighters, police and volunteers, helped get people out of harm's way. 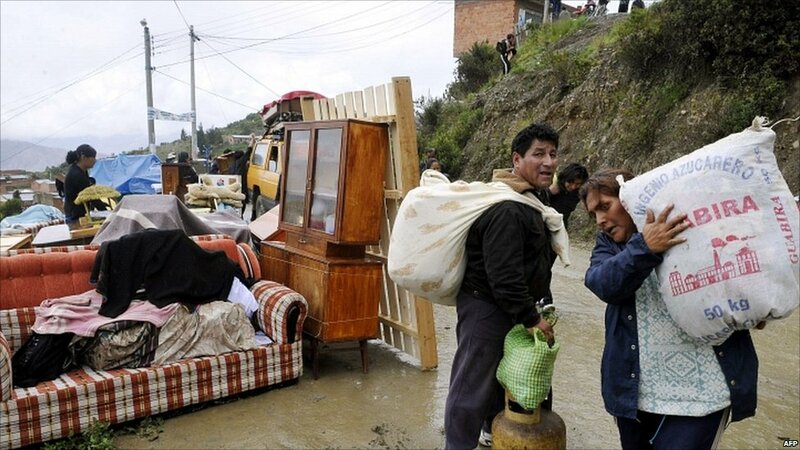 As drizzle continued on Sunday, some residents tried to get back to salvage what they could despite the danger of further landslides. 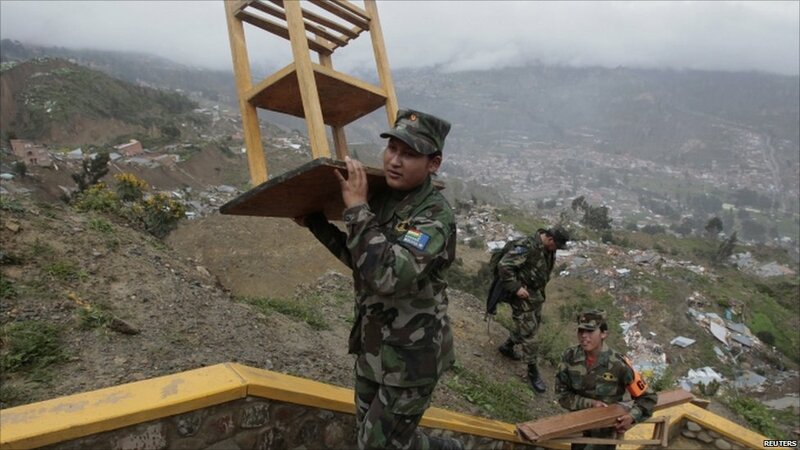 The army was deployed to help people recover their belongings. 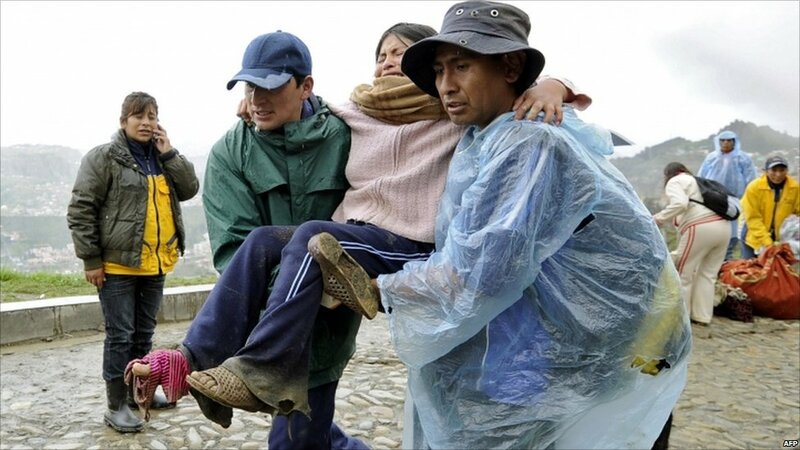 It is estimated that several thousand people have been affected by the mudslides in La Paz, a city of about one million. 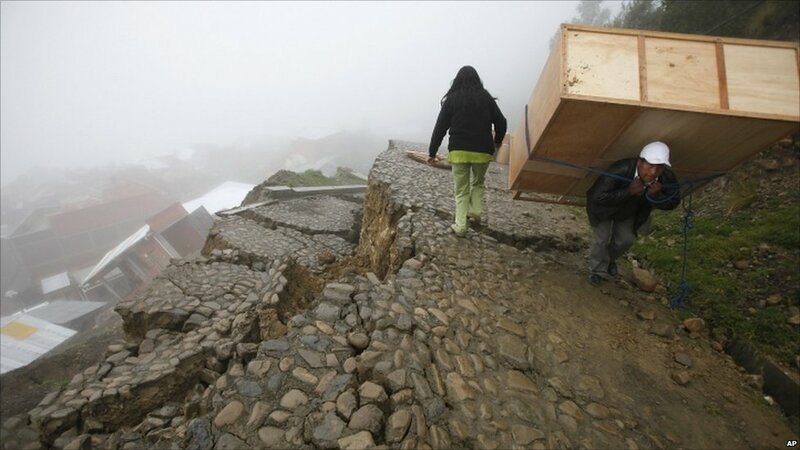 Much of La Paz is built on steep mountainsides and landslides are common, but the weekend's disaster was the worst in living memory.